Whenever we visit someone else’s property we expect that he or she has gone through the proper measures to ensure the safety of that property. This rings especially true for business property owners. Burn injuries can happen for a multitude of reasons and negligence can often be to blame. When a worker or patron suffers a wrongful burn injury while on someone else’s property, it is in his or her best interest to file a Philadelphia burn injury claim for the best chance at recovering maximum compensation. 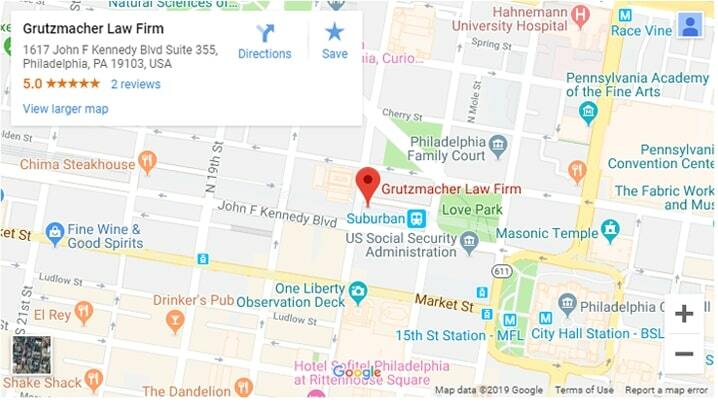 Adam E. Grutzmacher has built a reputation as a Philadelphia burn injury lawyer who does not back down and fights vigorously for his clients. He started his personal injury law firm in order to help wrongfully injured victims appropriately recover from their ordeal and that is precisely what he has done. His most notable win to date currently holds the record for the highest settlement ever awarded in the state of Pennsylvania due to a Salvation Army building collapse. Adam has spent over a decade building up resources and relationships with experts in Philadelphia and across the nation. He will do everything in his power to see you through to a favorable outcome in your personal injury case. Who Can Be Held Liable for a Burn Injury? If a third-party’s negligence was the reason behind the incident, then you can potentially hold several parties accountable. This all depends on the particular circumstances of your case, however, and will have to be determined on an individual basis. Product Manufacturer. If a defective product, such as a gas cap, was the reason that a person suffered a burn injury, then that person has the right to file suit against the manufacturer of that product. Proving liability in these instances is often difficult — especially if it is a larger company — and requires a lot of investigation. For these and other reasons, it is in your best interest to seek the legal experience of a Philadelphia burn injury lawyer. Business Owners. It is up to property owners to maintain their premises as well as everything and everyone on it. This means all equipment must be routinely inspected and all employees must be properly trained in order to best prevent accidents. Failing to do these and other similar tasks will heighten the risk for a workplace accident resulting in a burn injury. Service Providers. These days, there are so many options for cosmetic rejuvenation. Many of these options involve chemicals. When an esthetician or other cosmetologist applies the wrong type of chemical to a patron’s skin — or leaves the chemical on for too long — then chemical burns can occur. In these and other similar cases, you can hold the individual service provider (and potentially the company he or she works for) responsible for your injuries. Homeowners/Private Property Owners. House fires can start for a number of reasons. If one of your neighbors is one of those reasons and you have lost your home and/or have suffered a wrongful burn injury as a result, then you can hold the other homeowner responsible for damages. Whoever is responsible for your burn injury, you will have to actually prove his or her negligence first. This is often harder than it sounds. Even though fault may seem blatant to you, the facts must be gathered and details must be further investigated in order to officially prove liability to a court’s satisfaction. Adam knows what to look at and can help you build a strong case plan no matter the circumstances for your burn injury. To first know how to determine a punishment for the liable party (or parties), a judge and/or jury must know the facts. This information includes what type of burn that the victim suffered. Generally, the more severe the burn, the greater the awarded compensation. However, this determination will be circumstantial and decided on a case-by-case basis. First-degree. This type of burn is the least serious, causing mostly superficial damage that is easily treated and heals relatively quickly (at least in comparison to other types of burns). Sunburns, scalds (from hot water, for example) and minor electrical shocks are all examples of common first-degree burns. Second-degree. Also referred to as “partial thickness burns”, second-degree burns are more serious than first-degree. It affects the outermost layer (epidermis) and the second layer (dermis) of a victim’s skin. Blisters, significant redness and skin discoloration are all symptoms that a second-degree burn victim can expect. Third-degree. A third-degree burn is often called a “full thickness burn”. It is the most serious type of burn that a person can suffer. These types of burns often completely obliterate the epidermis as well as the dermis to the point where full recovery is nigh impossible. Open flames, electricity and chemicals can all be responsible for causing third-degree burns. On top of severe swelling and skin discoloration, many victims suffer nerve damage which affects feeling in the injured area. Unfortunately, more often than not, these effects are permanent. Whatever the cause of the injury, if you have suffered any type of burn that you feel justifies legal recourse, then Adam can sit down and talk with you about your options. Your recovery is most important and he will work tirelessly to ensure you can do so comfortably. Being injured is not an enjoyable experience, to say the least. You have to contend with being in pain, possible permanent effects and not being able to work, but staring mounting medical bills in the face. If someone else’s negligence was the cause of your burn injury, then you deserve compensation for any damages suffered. Philadelphia burn injury attorney Adam has been fighting for justice for the wrongfully injured for over a decade. He knows what details to look for and hit on when building clients’ personal injury case plans in order to receive a favorable outcome. Your peace of mind starts with scheduling a free consultation with Adam. During this initial meeting, he will sit down with you in person to discuss the details of your case, including what steps to take next and what you can realistically expect from filing a Philadelphia burn injury lawsuit. Call (215) 261-7975 or contact us online today to see how Adam can help you.